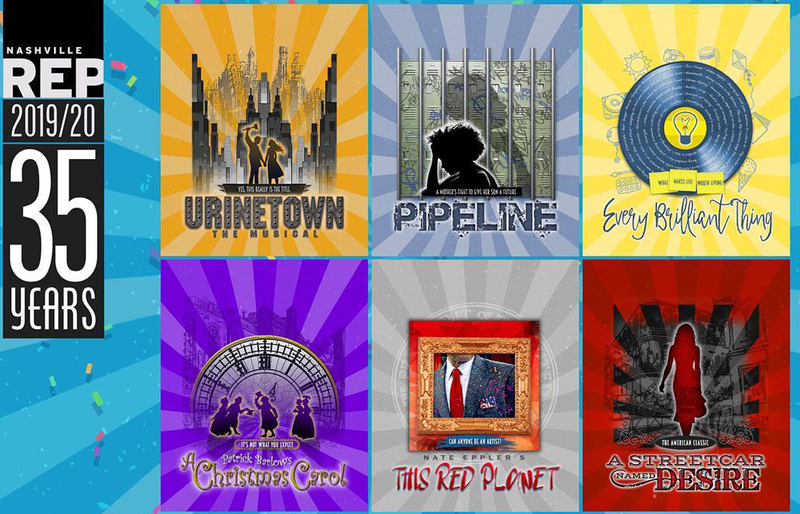 New plays, a new holiday show and new offerings for youth are in store. Nashville Repertory Theatre reveals it's upcoming 35th season, which will kick off in September. Nashville Rep's Artistic Director Rene Copeland presented the company's selection of six shows late last week along with an announcement of a brand-new leg of the Rep geared toward youth. This Tony Award-winning musical satirizes the legal system, capitalism, social irresponsibility, bureaucracy, corporate mismanagement and municipal politics. A mother's hope for her son clashes with an educational system rigged against him. This play poses the question, "What makes life brilliant?" Barlow's version of Charles Dickens' timeless story of redemption promises a particular twist. The world premiere of Eppler's play that came out of the 2018 Ingram New Works Festival asks, "Can anyone become an artist? Even a former president?" Nashville Rep closes its 35th season back where it started — on the Polk Theater stage — with Tennessee Williams' Pulitzer Prize-winning gritty New Orleans drama. Nashville Rep is creating brand-new youth and student programming with the launch of The Nashville Rep Conservatory. It kicks off this summer with Nashville's first and only overnight theater camp — Broadway Theatre Camp at Camp Widjiwagan. Camp sessions for ages 7 - 15 take place June 2 - 8 and June 1 - 27. Cost is $175 per week. In addition, throughout the 2019 - 2020 season, Nashville Rep will host master classes with theater professionals starting with Jelani Alladin, one of the original stars of Disney's Frozen on Broadway. The Nashville Rep Conservatory will also feature a new Young Writers' Program in partnership with The Theater Bug. All programs will lead up to a large student musical when the Conservatory produces its first full-fledged production in summer 2020. Season tickets for the 2019 - 2020 season are on sale now. For more info about Nashville Rep, call 615-244-4878 or visit nashvillerep.org.